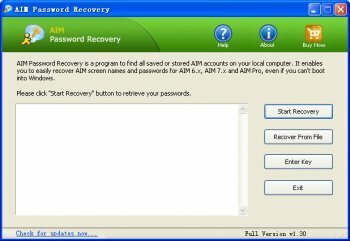 AIM Password Recovery is a program to instantly recover AIM password stored on your local computer. When you launch AIM instant messenger, if you click to select the "Remember my passwords" or "Sign me in automatically" check box, your password will be automatically filled and log in to your AIM account next time. 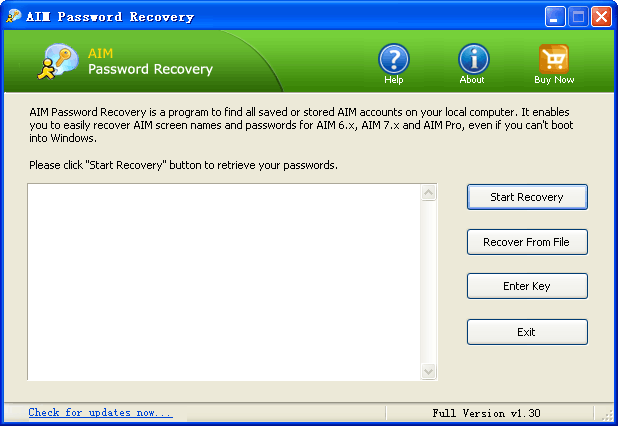 If you forget the password, AIM Password Recovery is prepared to help you.